This week's portion is called after Korach, whose name comes from the word "Kricha", which means separation and strife. Korach wanted to be the High Priest, and challenged Moshe and Aaron for raising themselves above the rest of the congregation. "All of us are holy," he argued. Interestingly, the logical conclusion of this argument is that Korach himself could also not be the High Priest: why would he be allowed to raise himself above everyone else? The reality is that Korach was not interested in the truth. He simply fell prey to his own ego. The first question that comes to mind, asked by many commentators, is, "how can a Torah portion be named after someone evil?" We are told that we're supposed to "erase" the name of evil people, in particular by not mentioning them. The Lubavitcher Rebbe explains that despite Korach's big mistake, there was a positive aspect to him, which we need to learn from: the desire to increase in holiness. It is good to have the desire to be more and to accomplish more, particularly when it comes to spirituality. Nevertheless, we have to realize that each of us has our own "lot," our own path in life, with roles and responsibilities, and we should be happy with it. To complain that G-d did not assign us someone else's role is silly and ungrateful. Korach and his group of rebels were given so much, yet they wanted exactly what they couldn't have. They were Levi'im from prominent lineages, yet they "asked for the priesthood as well." This year in my class, we learned about Avraham's journey to self-discovery, to learning about and fulfilling his role in the grand order of things. 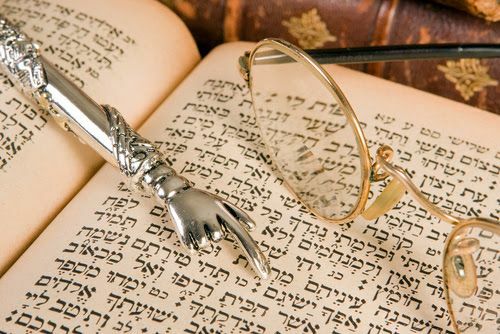 Like Korach, it also involved a certain degree questioning and rebellion, but it was a healthy one, for the sake of truth and justice; for the sake of increasing Hashem's presence in the world. As teachers and as students (and we should all strive to be both! ), it is important to recognize whether motivations to question and rebel are like Avraham's or, G-d forbid, like Korach's. We should always encourage the former and not take part in the latter. We should always strive for growth, in ourselves and others, and never fall prey to ego and a sense of self-entitlement. For more information on discovering our own God-given path in life, and remembering to be grateful for it, I highly recommend, "In the Garden of Emunah," by Rabbi Shalom Arush, translated by Rabbi Lazer Brody. It'll make for great summer reading, and for a great summer. May it indeed be very great. I look forward to crossing paths with you again next year.